Tesla: Would you like your microgrid in a bag or box? Tesla’s vision of one-stop-shopping for microgrid-like products came closer to reality this week following approval of its merger with SolarCity by the independent members of each company’s boards of directors. Elon Musk, the CEO and major shareholder of both companies, is positioning the merger as a way to make it easier for consumers to buy and maintain Tesla and SolarCity microgrid products. 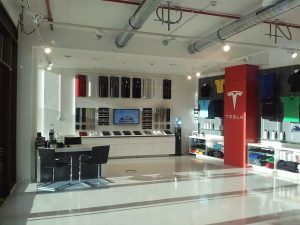 Tesla plans to leverage its 190-stores and international presence to push a packaged product, which will include SolarCity’s solar panels and Tesla’s electric vehicles and Powerwall energy storage battery. This week’s announcement pegs Tesla’s purchase price of SolarCity at $2.6 billion. In next steps, SolarCity begins a required 45-day period when it can solicit other buyers. To go forward, the deal still needs a vote of a majority of the disinterested shareholders of both companies and regulatory approvals. Tesla’s financial advisor was Evercore. Wachtell, Lipton, Rosen & Katz was its legal advisor. The financial advisor to the special committee of SolarCity’s board of directors was Lazard and its legal advisor was Skadden, Arps, Slate, Meagher & Flom. 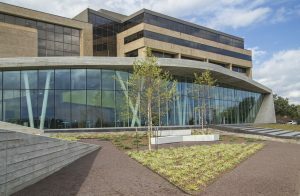 Speaking of packaging things up, Black & Veatch will offer several of its products in a new sustainability solution for large energy and water consumers. The infrastructure company, which has increasingly been focusing on microgrids, will help customers reduce greenhouse gases, increase renewable energy use, minimize water consumption, and enhance resilience and operational efficiency across their organizations. By way of example, Black & Veatch pointed to its work on the military microgrid at Marine Corps Air Station (MCAS) Miramar, in San Diego, California. The microgrid includes renewable resources, advanced smart grid control systems and demand response capabilities. Planning and implementing a smart city framework and infrastructure system to help Chula Vista, California, more efficiently use energy, water and communications infrastructure. Installing its ASSET360 data analytics platform at the Port of San Diego Smart City project. The platform provides real-time information to help operators use power more intelligently. Building a microgrid that powers portions of its world headquarters in Kansas. Axiom: This energy storage is cool. No, really. Axiom Exergy today announced $2.5 million in new investment for its energy storage refrigeration battery, which is tailored for supermarkets and cold storage facilities. JB Straubel (co-founder and CTO of Tesla Motors), the Element 8 Fund, Victory Capital, the MIT Angels, Propel(x) angels, the Sierra Angels, and undisclosed investors. The product’s current pipeline is $5 million in signed contracts. The battery stores thermal energy produced by refrigerators. The stored energy can later act as backup during power outages. Or the battery can be used to leverage electricity costs — it is powered during off-peak periods and deployed when grid prices rise. Able to shift electric load for six hours and offset electricity demand by up to 40 percent, the battery offers significant savings for grocery stores, the company says. Saving $25,000 on energy is the equivalent of selling $1.8 million of groceries or increasing sales by 11 percent, according to Axiom. Axiom envisions the refrigeration batteries being deployed at hundreds of sites in a utility service territory and then used by the utility in aggregated form to manage grid congestion. Here is a a quick video overview of Axiom’s refrigeration battery. 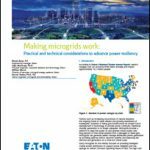 Track microgrid news by joining the Microgrid Knowledge LinkedIn Group. 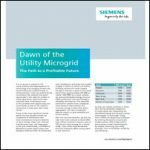 Is this the ‘Non-Weird’ Future of Microgrids?